Come and have a look in the oldest rotating radio telescope in the world and listen to signals from the universe. The Dwingeloo Radio Telescope is located on one of the busiest bicycle routes on the Dwingelderveld and with its 25-meter diameter, the telescope is almost impossible to miss. For passersby there are information boards about radio astronomy next to the telescope. The telescope is open to the public during special national and regional activities. In the summer months July and August there are regular opening times. For other times you can request a guided group tour. 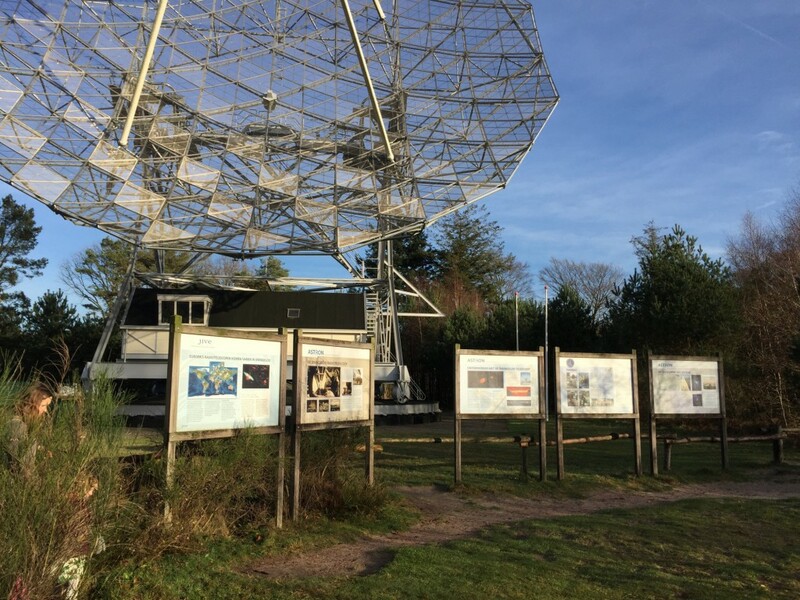 Access to the radio telescope is via the former department house, the Muller House, on the Oude Hoogeveensedijk 6 in Dwingeloo and not via the information boards along the sandy road. In our rates (Dutch) overview you will find the different entrance fees. With your contribution CAMRAS can maintain the telescope, renew equipment and furnishing, and develop and renew materials for visitors, schoolchildren, and students. 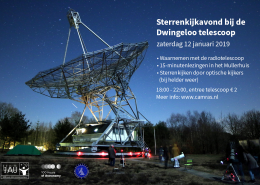 In our flyer (Dutch, English version in preparation) you will find brief information about the CAMRAS Foundation and the Dwingeloo Radio Telescope. Twitter for user activities @PI9CAM (for exchange of technical details and results). The radio telescope is open during the following public activities. In case of special openings, other entrance fees or free access may apply. Demonstrations in the Dwingeloo Radio Telescope even when cloudy or raining because radio waves pass through the clouds. In clear weather there are optical telescopes next to the radio telescope. In the Muller House short presentations on various topics including meteor scatter. Entrance in the radio telescope: youth € 1, – adults € 2, – and donors free for 2 visitors. Outside the radio telescope everything is free of charg . 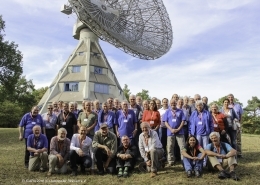 In July and August, the radio telescope is open almost every Sunday afternoon, subject to sufficient volunteers. A tour starts every half hour. The tours do not last longer than an hour. The tours begin at the Muller house, Oude Hoogeveensedijk 6. There you pay your entrance fee and you get a short story about the radio telescope. Then you go to the radio telescope under the supervision of a tour guide. 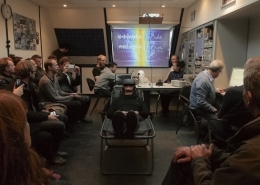 In the radio telescope, the guides and telescope operators give explanations with a demonstration. There is room for up to twenty visitors per guided tour. In case of equipment malfunctions, we give a guided tour without a demonstration. In case of special weather conditions such as thunderstorms and very strong winds, the tours will be cancelled. Special guided tours are possible for schools. For more information and requesting a guided tour, please read the page about guided tours. If you want to ask another question please contact us via the contact form. High school students can do their own research or experiment with the radio telescope, for example for a practical assignment. For more information and requesting this, read the education page. Guided tours for groups are possible on request. Real observations are made during a tour. For example, it is possible to listen live to a pulsar or to measure the velocity of hydrogen clouds. 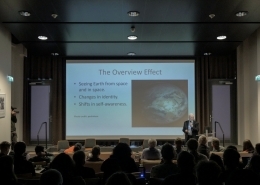 In group tours, depending on the interest of the group, emphasis can be placed on the technology of the telescope, on astronomy, or on amateur radio applications. The telescope is also interesting from the point of view of heritage. For more information and requesting a guided tour, please read the page about guided tours. ATTENTION 1: The entrance fee depends on the number of group members together, but is always at least € 50.00. ATTENTION 2: We do not organize guided tours on national and generally recognized holidays. ATTENTION 3: We do not organize tours on request during the months July, August and September, and in the first week of October. In that period the radio telescope can be visited during the Summer-Sunday-afternoon opening, the Heritage Days and the Science Weekend.